Open front side and back side covered is assembled in the garden having good designs and patterns. It is more demanded and popular in the market. 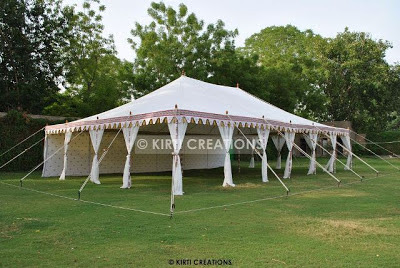 Wedding maharaja tent has floor carpets and a center pole. It is quite spacious and is ideal for social gatherings.